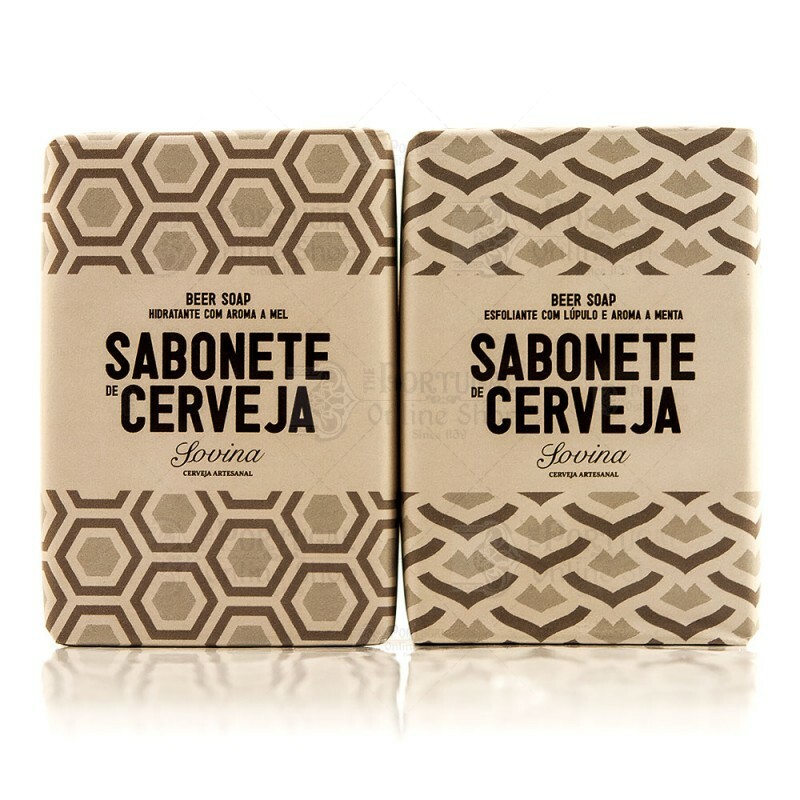 The Sovina Exfoliating Beer Soap is an exfoliating soap made with Sovina’s popular India Pale Ale. 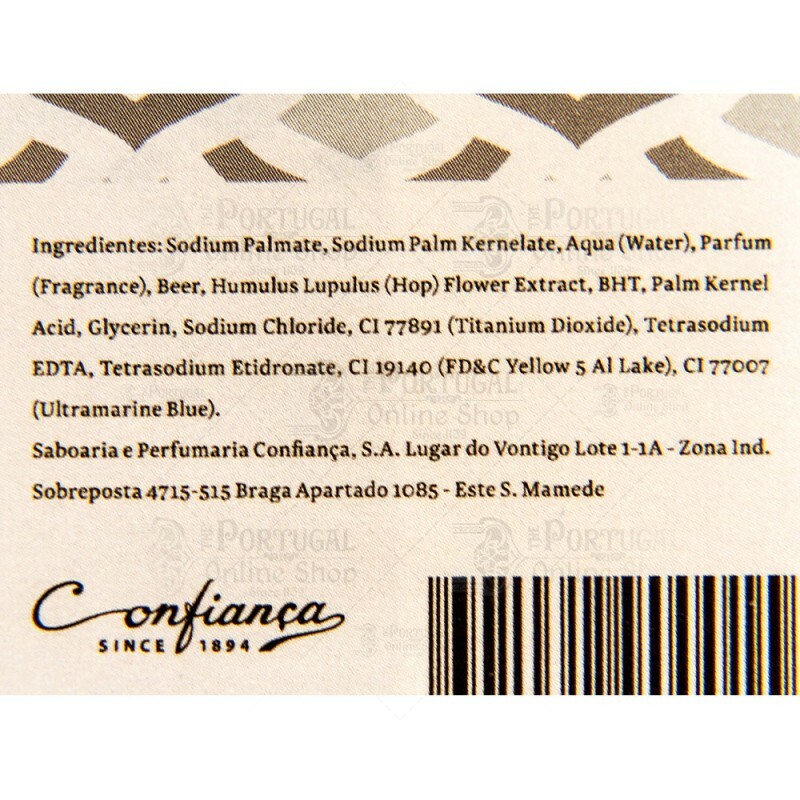 This handmade exfoliating soap is produced with an aroma of mint and it's exfoliant particles are derived from the hop blossom from the Tras-os-Montes region of Portugal. Rich in cereals, hops flower and yeast, with natural ingredients containing minerals, proteins, and vitamin B rich in amino acids, beer has antibacterial and antioxidant properties ideal for the care of skin and hair. Thanks to all these remarkable properties Sovina has crafted two amazing soaps using beer's intrinsic qualities and benefits for skin care. 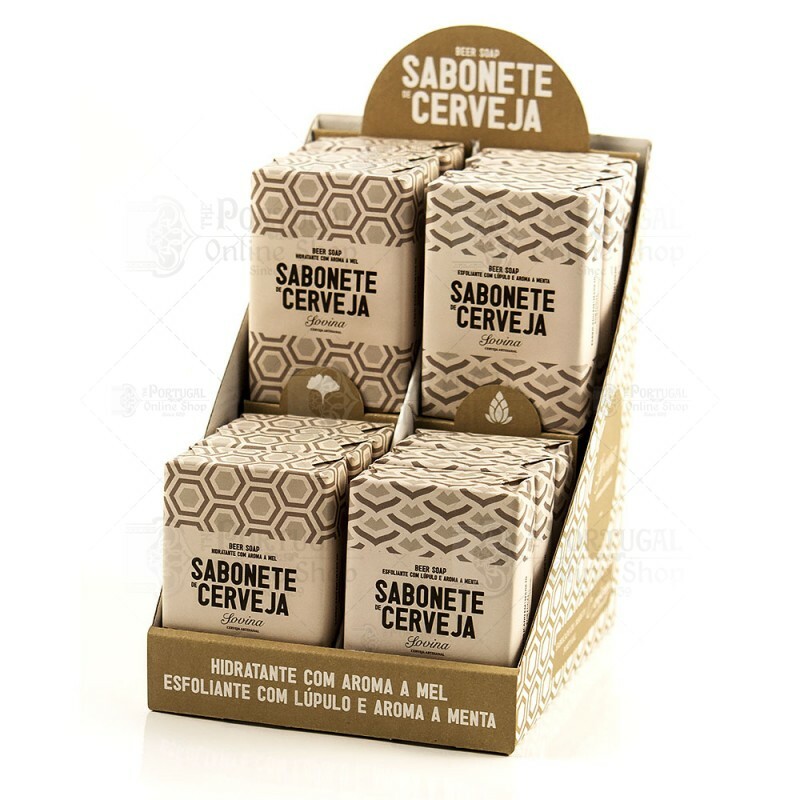 This daring project is the collaboration of micro craft brewery Sovina and established & globally acclaimed soap maker and perfumery Confianca Soaps whose expertise and experience have come together to produce two beer soaps. A unique gift following the ancient traditions of soap manufacuring from one of the world's oldest soap manufacturing regions. 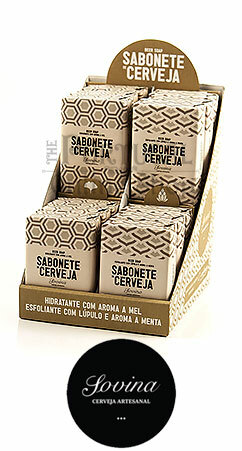 An ideal gift for anyone interested in beer, natural beauty or hand made artisan soaps. All Sovina soaps are wrapped in beautiful linear-design paper and placed in elegant brown boxes.